Do you love picture books? Join us in our children’s section for drop-in storytime with special guest reader, Ricardo Cortes! A shark, swimming the seas, encounters…Aliens. Will anyone believe it is true? Sea Creatures from the Sky is a gorgeously illustrated children’s picture book from the New York Times best-selling illustrator of Seriously, Just Go to Sleep. 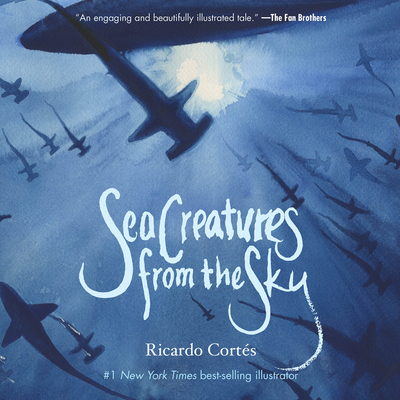 Cortes’ stunning seascapes follow the adventures of a shark that has a story to share about creatures who live above the ocean. Our shark encounters strange-looking creatures who resemble nice, caring marine biologists. But after they release it back into the ocean, the shark cannot find one friend to believe its tale. Filled with humor and warmth, Sea Creatures from the Sky will charm children and parents alike.